Genesis for Ordinary People is the second book from singer-songwriter and guitarist, Paul Poulton, following on from his debut publication in 2008, Fishing For Praise. The first book represented a more obvious subject matter the author – it seemed fitting that a Christian musician should write a book about praise – but this volume seems to be a less obvious choice. However, it reveals that there is more to Paul than just music. Those who have been regular readers of his regular Crossrhythms’ column or have heard him speak will understand that Paul is more than just a one trick pony when it comes to communicating the Christian message. Tackling Genesis is a good yet bold choice. It has come under fire in recent years from non-believers who have used it to undermine Christianity and even the existence of God. Paul however, using a mix of apologetics, hermeneutics and a knack for communicating complex ideas in an accessible way, manages to cut through some of the misinformation and, dare I say, misinterpretation, the latter of which has not been confined to secular circles. No book on Genesis could perhaps be complete without touching on the Science v Religion debate and whilst Paul does devote a chapter to it, it thankfully does not dominate and the reader is allowed to appreciate Genesis for what it is without being distracted by an argument that often-times is not relevant or helpful. Paul is at pains to explain Genesis in the context of God’s salvation plan and therefore in the context of all of scripture rather than treating it as a standalone work to be critiqued in isolation. Thus we are able to see how Adam and Eve are set apart as bearers of the seeds of God’s salvation and how this seed is carried through the generations of Noah, Abraham and Jacob. In short, we see Christ in Genesis. Paul tackles some tough questions along the way so if you want to answer questions like “Who did Cain marry if there was supposed to be no-one else around?” then you can find answers here. It’s a well researched book, but being a non-academic work doesn’t swamp you with references. There’s a good balance and it is easy to read. 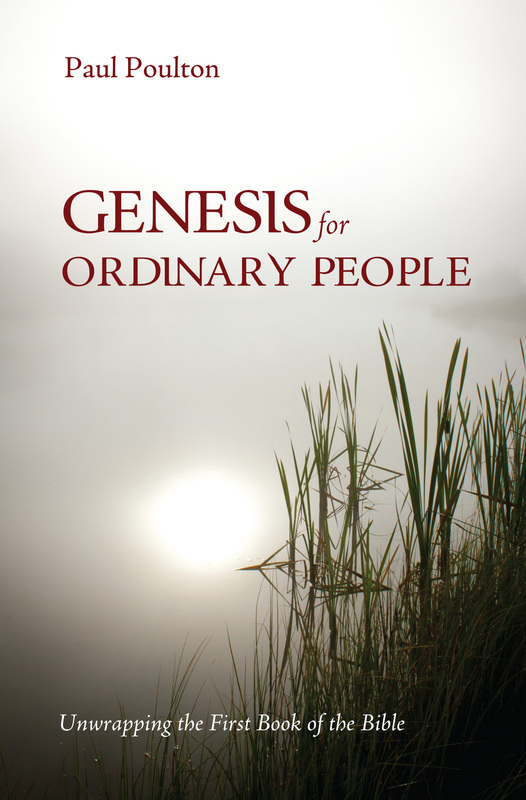 In short it does what it says on the cover – it is Genesis for ordinary people. 9/10. Robin Thompson. This entry was posted in Paul Poulton and tagged Paul Poulton by starfishdrivingnigel. Bookmark the permalink.